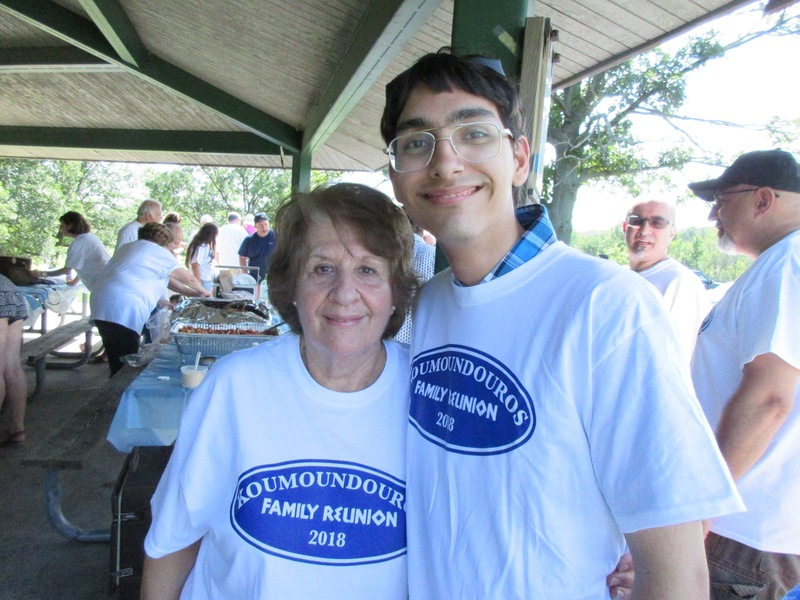 The family reunion at Lemon Drop Lake in Crown Point, Indiana was a blast! I had a chance to meet with relatives from Ohio, Indiana, Texas, and New Zealand. Although the weather was unpredictable, it behaved on the day of the picnic. I had not seen my Aunt Patia for several years. 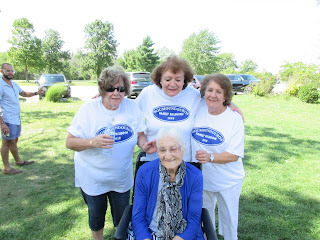 She turned 96 years old this weekend and we celebrated her birthday at the picnic. She is my late father's oldest sister. We even had a chance to dance some Greek dances. Overall, an enjoyable weekend and much, much too short! T-shirts were provided. Given that the majority of the people at the picnic are from Lipsi Island, I donated copies of LIPSI'S DAUGHTER to each family that attended. I am with cousin Patia who helped organize the event. With cousins Helen and Filio and Aunt Patia. My son with Cousin Filio. Relatives arriving at the picnic. We will be in Merrillville, Indiana this weekend for the Lipsiotiko Picnic. It will be attended by people who are from the Greek island of Lipsi (mostly all related to each other!) and friends. I have donated my latest copies of LIPSI'S DAUGHTER (3rd Edition) for the picnic, free for those attending. As those who have read the book know, it takes place on Lipsi Island in the 1970s and has preserved that time period in a capsule. If you go to the island now, electricity, cars, and modern technology abound. I wrote it based on my travels to Lipsi during those early years when I was a college student. The book cover includes Lipsi island in the background. Recently, I was interviewed for a local magazine "Hagerstown Magazine" and the interview is listed in the print and online editions. I am very pleased to announce my interview by author Christos Tsailis in the online books and style Greek magazine! The interview is in Greek. Who are we? How are we defined? These are questions that not only philosophers and psychologists have explored throughout the centuries, but also fiction writers as they try and define characters in their stories. When we write about different characters in fiction, we need to define their physical characteristics, families, beliefs and education, otherwise, our identity will be imprinted in their character, and they will end up with the same motivations, beliefs, and drives as ours. So, writers have a responsibility to themselves and their readers, to become pseudo psychologists - in understanding human nature in order to write about humans with all their strengths and weaknesses. 1)Wisdom -creativity, curiosity, judgement, love of learning, and perspective. 2)Courage - bravery, persistence, honesty and zest. 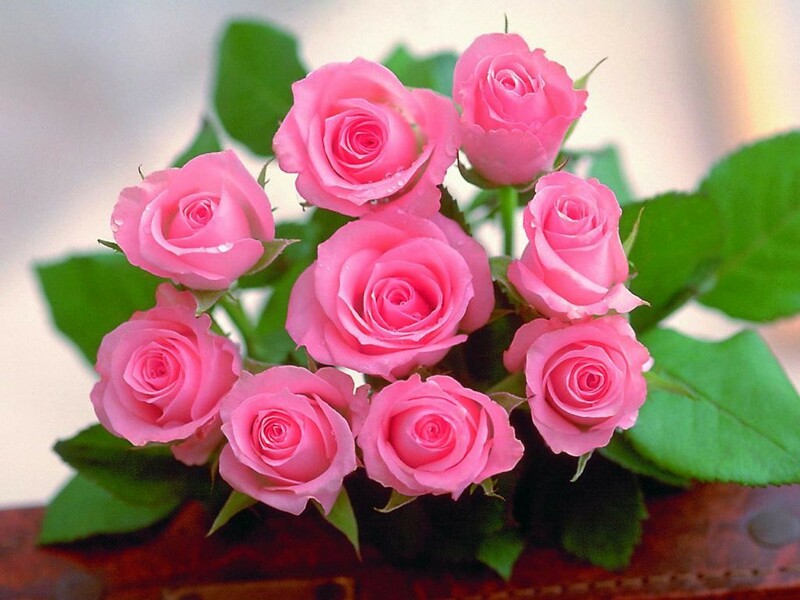 3)Humanity -love, kindness and social intelligence. All these different pieces of the human character define who we are. One of the mistakes that new writers tend to do is write about perfect characters. , but no human is perfect, and writing realistic characters requires inserting character flaws or weaknesses to our characters, like greed, impulsiveness, pessimism, selfishness, and so on. This is a task, by the way, that fiction writers are constantly battling with, trying to identify the characters in our stories. We can’t make them too perfect. As I explored my own character strengths, I found out that leadership was one of them. I was puzzled. Me, a leader? All my life I thought I was a follower. So I read some more about these character strengths and began to piece together this puzzle of who I am, by going back in my life and studying it a bit more; I realized that I am not alone. We all are searching, in one form or another, for our identity. I mean, yes, my Greek name defines me. By the way, growing up in East Cleveland with a name like IPATIA KOUMOUNDOUROS was like asking for a reason to quit school. 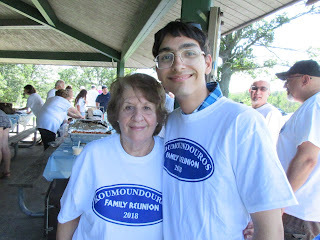 The children quickly adopted me and gave me names like Patty Duke, and my last name, morphed into Cowmoundouros and Koukoumoundouros, but I survived that period. And my family defines me. (Photo) Both my parents came from Lipsi Island, a tiny Dodecanese island in southern Greece. Yet they had big hearts and even when we struggled to make ends meet after my father became disabled, they were always there for us five daughters. My friends, beliefs, and education define me. (Photo) I graduated from Case Western Reserve University with a Biology degree. My jobs defined me. (Photo) I worked the MRI machine while conducting experiments at the Cleveland Clinic. All these experiences helped define my character. As I tried to determine if I ever was a leader I realized that yes, it all began in my first day in kindergarten class! Newly arrived from Greece, I didn’t know a word of English. My mother knew a few more words than I did, like “Yes” and “No” and “SONABABEECH.” Somehow she found out where the elementary school was and we walked there together. I stood in a line of children my age, waiting for them to take us to our class. This was the first time that I saw black children and Chinese children in addition to white children. I spoke to them but no one seemed to understand me. Seeing that I was busy, my mother took the opportunity to leave. When I saw her leaving, I began to cry loudly and then the little black boy next to me began crying and then all the children started crying. I couldn’t speak English, but I was able to lead. After that, I quickly learned the English language and read a lot of books, so that in fourth grade, I stood up on stage for the spelling bee. My knees were quaking and my voice trembling as I spelled the words out loud, competing with other fourth, fifth and sixth graders. My fourth grade teacher was ecstatic when I won and she made me "queen of the day." I was asked to teach spelling to the other fourth graders that year. More leadership roles formed. I cofounded the Hellenic Student Association during my college years at Case Western Reserve University, and was elected its president, and I also engineered the weekly Greek radio program. After I received my Biology degree, I worked at the Cleveland Clinic in several capacities, including lab manager and data manager. There, I formed the Ultrasounds chamber ensemble. and I became busy converting myself from a no-nonsense career woman to a babbling stay-at-home mother entertaining an adorable babbling baby son. Within the span of a few months, I was demoted from a leader - to a follower - by a tiny baby boy with large lungs. I slowly regained my sanity and my leadership role. During the day when my husband went off to work, I organized nap times, meal times, and errand times. I was so good, that I could whip up a bottle of warm milk for the baby while the casserole was baking and the washed clothes were drying. I told my son stories every night before he went to sleep and then I began making up stories to my son during our drives or strolls. These stories were well received by my husband, and he encouraged me to write. So I began writing novels, where I led my characters down different paths and solved their problems for them. When I would finish writing a chapter, I’d read it to my family at dinner time. My greatest supporters were my husband and son. During this time I began perfecting my craft, reading books about writing, taking workshops, and slowly embracing a new career, that of a middle-aged stay-at-home Mom writer. Mind you, I had been writing poetry during my teen years, but writing a novel was a totally different task. It required perseverance and discipline. My first book, Lipsi’s Daughter was published in 2004 and was well received. I also published a poetry book shortly after that. In 2007, came another novel,The Lion and the Nurse, which takes place on Kos Island. That year, as I was attending a March 25th Greek Independence day event at our church, I watched the children dressed in Greek costumes singing patriotic songs. I asked myself questions about the history of this important day in Greece and I realized I couldn’t answer my questions. What exactly happened on that day? How did it happen? How was it resolved? And so on. I researched the topic and noticed a pattern in the books I read. Everyone wrote about the politics and details of the war in Greece, like who killed whom, and which countries were involved, and on what dates these atrocities happened, but not much was written on what exactly happened to the humans on a human level. For example, I read a section in a book that mentioned that the Greek women and children were taken slaves by the Ottomans. I asked myself, what happened to them? What happened to the families that were broken up because of this? So I decided to write The Greek Maiden and the English Lord, the story of a little Greek girl who was captured by gypsies during the 1821 revolution, and years later, when she learns the truth about her identity, she begins her search for her real parents. Writing was now entrenched in my daily schedule. By the way, all these novels are available as ebooks on Amazon. In the spring of 2013, a publicist contacted me. His client was Gianna Angelopoulos-Daskalaki, the Greek lawyer who helped organize the 2004 Olympics. The Publicist asked me if I could write a review of her book My Greek Drama and I agreed. When I received a copy, I couldn’t stop reading it. Her perseverance, stamina, and leadership all came together to help Greece succeed in reclaiming its Olympic dignity. She personally emailed me to thank me for my heartfelt review of her book. The surprising part was that while I was visiting family in Tarpon Springs, Florida, Mrs. Angelopoulos happened to be giving a talk and booksigning there, so I had a chance to meet her. I waited excitedly in the booksigning line with my book. When I handed her the paper with my name on it, she jumped up, shouted “PATTY!” and hugged me. I frantically motioned to my son from behind her back to take a photo of us, since he was standing there with the camera, as planned, but he looked at me with his mouth wide open as if I were sprouting mushrooms from my ears. I think he was stage struck. 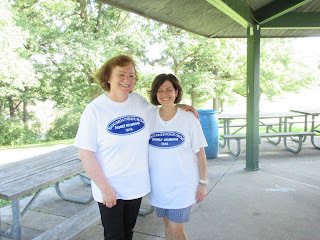 Finally, because we were holding up the line, Mrs. Angelopoulos told one of her people to take a photo of us together. Such a warm reception from a woman who organized the Olympics and led 45,000 volunteers was quite astonishing to witness. But life made a turn for the worse. In June of 2013, my beloved husband, Anthony, died suddenly, turning my world upside down. During this grieving period, I moved full steam ahead like a tornado, not on the path to destruction but on the path to redemption. I immersed myself in church activities, visited an Orthodox monastery several times for spiritual healing. I wrote poetry and music, and also played the violin with the Frederick Symphony, formed the Hellenic Writers’ Group in February of 2014, and went back to school and earned my Master’s. And during all this time, I homeschooled my son and worked on my second historical novel, HELENA’S CHOICE. This was the second time I wrote a historical novel that takes place in Greece. Helena’s Choice is in the same time period as The Greek Maiden and the English Lord. It stems from an article I read about a 1976 looting of 18 ancient tombs in Aidonia, in Nemea, Greece. Several bronze age items which were sold outside of Greece illegally, ultimately made their way back to Greece and ended up in the museum in Nemea. So I asked the question, what if there were more undiscovered archaeological digs in Nemea, besides Aidonia, and that question led me to do more research. I read about several situations that occurred in Greece, where people were digging their foundations and found artifacts. I contacted Dr. Kim Shelton, Associate Professor in Classics and Director of the Nemea Center in Berkely. She answered several of my questions and I was able to pinpoint a village in Nemea called Petri to base my story on. Historical facts are the foundation of historical novels, but because novels are fiction, authors have a license to merge these facts with imaginative characters and events to go along with the story. This allows endless possibilities for authors because they can choose: a niche in time where a particular event takes place, or describe the life of a certain famous person, or embellish the story around a war. Whatever they decide to do, this adventure into historical novel writing becomes a unique experience for each individual author. For me, the greatest part of writing a historical novel is rewriting history and bringing it to life in this modern world, and in the process learning that everyone is searching for their identity and trying to find themselves.